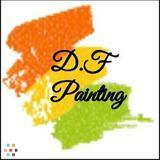 At D.F Painting we provide professional results at incredible prices. After 10 years of painting experience with other painting companies, it became clear that great prices could be offered if a big company was not the middleman between the homeowner or builder and the painters. So Carlos Dominguez Flores has put a team together to get you big company professionalism at friendly neighborhood painter prices. Call us at 630-474-... to tell us about your project and Carlos will personally provide you with free estimates.